On Mumbai stampede, Railways report says that the heavy rain led to overcrowding at the narrow bridge connecting two stations - the Elphinstone Road and Parel. Mumbai: The stampede at a Mumbai railway bridge that left 23 dead last month has been blamed on rain and rumours by a safety committee of the railway ministry, which does not refer to any official negligence. The report by five officials says that on September 29, the heavy rain led to overcrowding at the narrow bridge connecting two stations and its staircases as "commuters refused to step out in the rain". 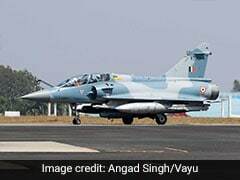 It also accepts the theory that a flower seller's cry of "phool gir gaya (flowers have fallen)" was mistaken as "pul gir gaya (the bridge has fallen)" and set off panic. The committee says it questioned 32 people injured in the stampede while investigating what caused it. 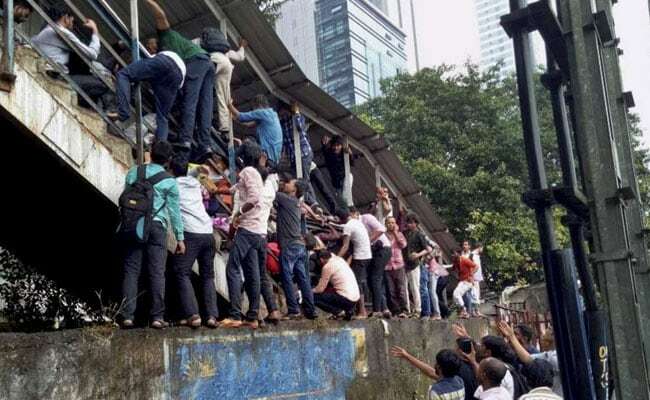 The stampede broke out during rush hour when thousands took a narrow railway bridge connecting two of the busiest stations in Mumbai - the Elphinstone Road and Parel stations. Four trains rolled in at the same time and a large crowd poured into the bridge that was already bursting with people taking shelter from the sudden downpour. A few commuters slipped, and people fell on them. Angry commuters and residents had called it a disaster waiting to happen as they said the bridge was too narrow and not strong enough. The railway committee recommends the widening of the staircase and says bids have been invited for the widening of the bridge. It also says a booking office that becomes a bottleneck during peak time should be removed from the bridge. Making recommendations the report says that railway staff at the Elphinstone station should be equipped with walkie talkies so that they can communicate faster under such circumstances.